(Amos Chapple | Rex Features). 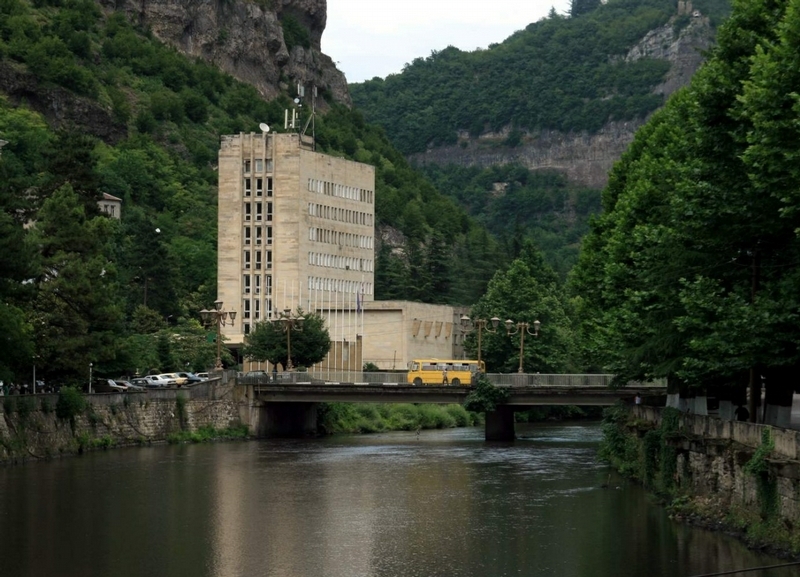 The Georgian city of miners Chiatura is surrounded by cliffs and is located 220 km from Tbilisi. 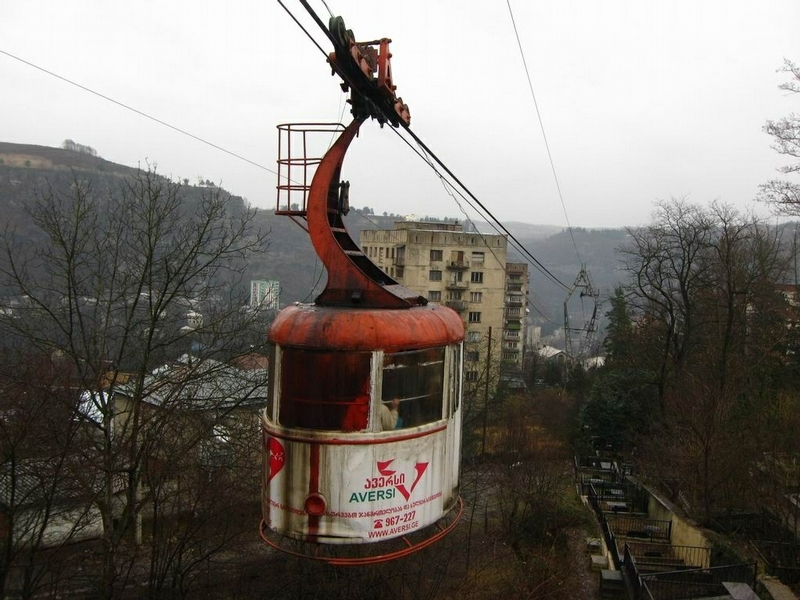 Its districts are connected with the central part of th city with ropeways built back in the Soviet times. 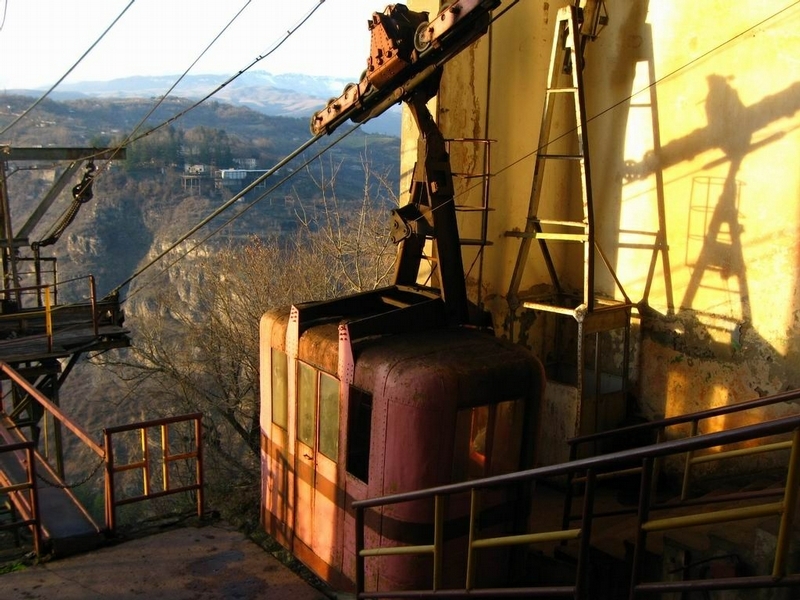 In the beginning of the twenties of the XXth century when Georgia became a part of the USSR, the Soviet authorities decided to extract manganese from deposits located on the Georgian territory. 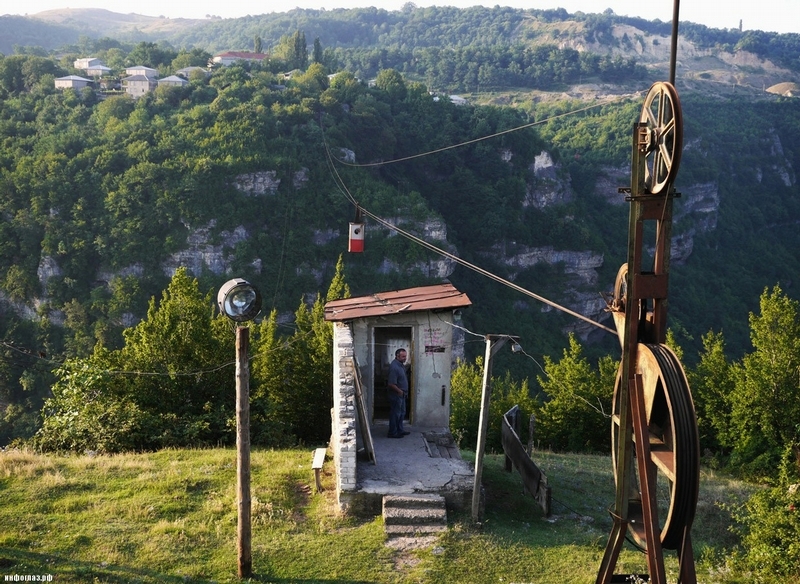 This is how Chiatura appeared – a new city rose in 1921 at the place of the manganese deposit. 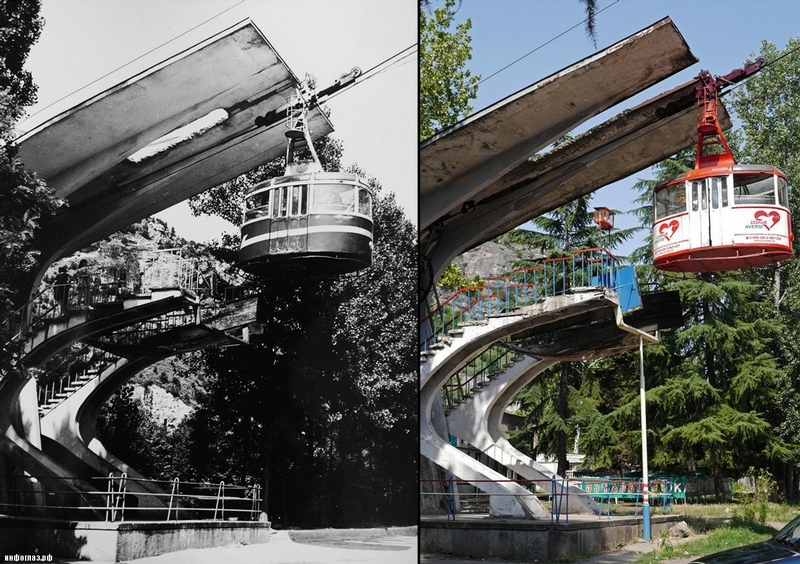 The ropeways were started to be built in the 1950s, they still connect each part of the city. 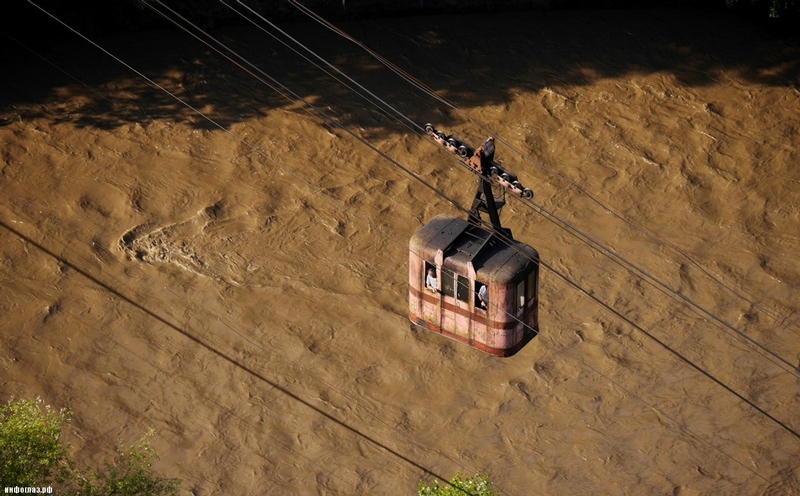 The local man goes home by ropeway. (Amos Chapple | Rex Features). It does not even seem real! (Amos Chapple | Rex Features). 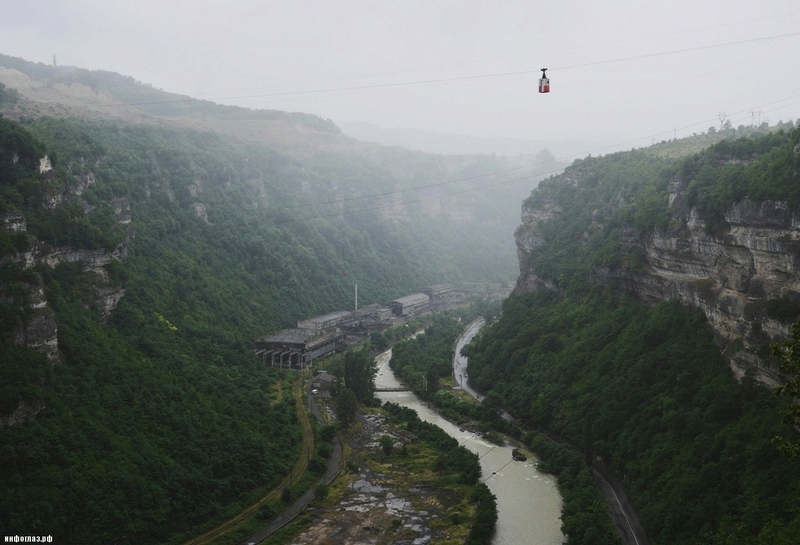 The people are waiting for a cable car at the air stop. 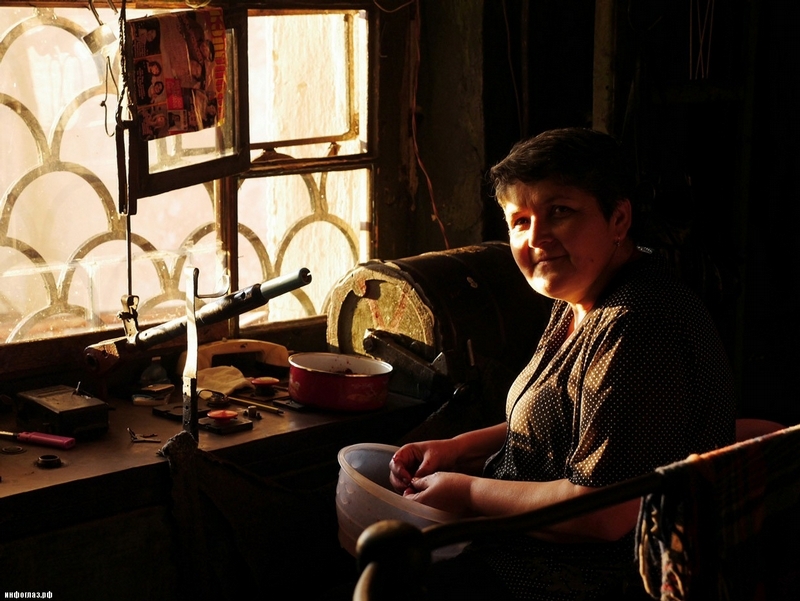 (Amos Chapple | Rex Features). 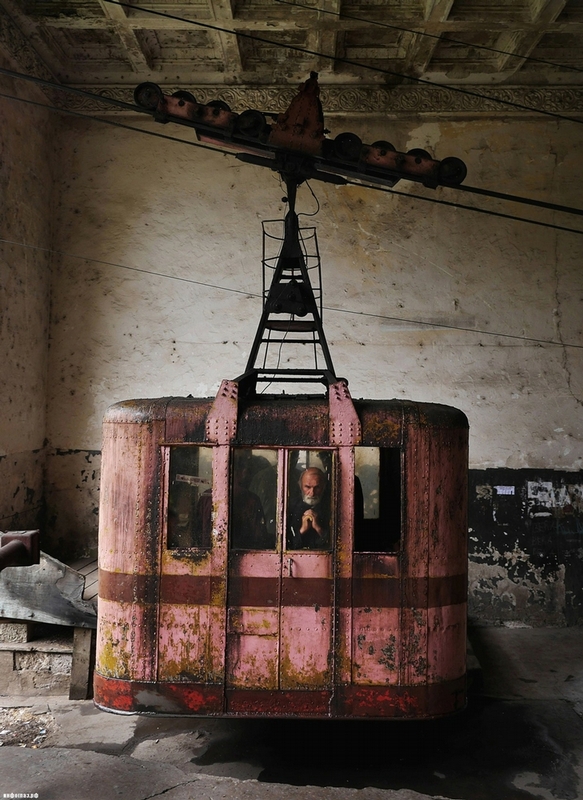 The operators of the ropeway wait till 3-4 passengers come to the air stop and ring the bell to start a travel. 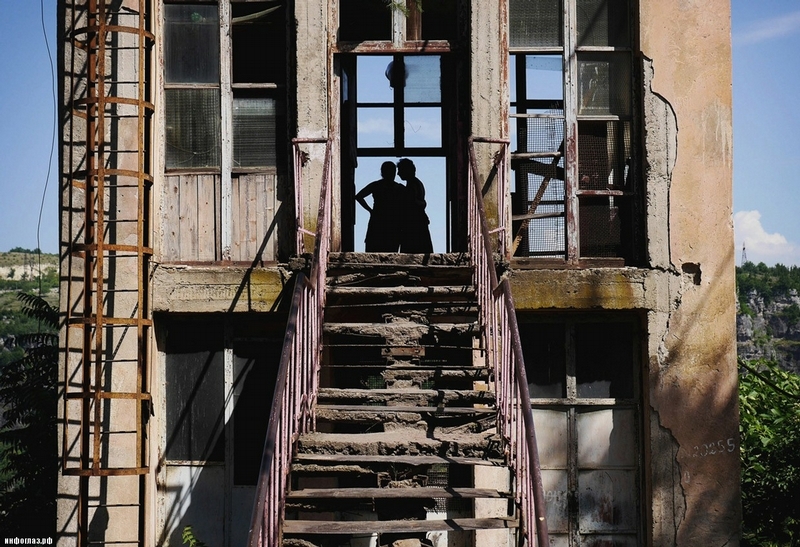 (Amos Chapple | Rex Features). 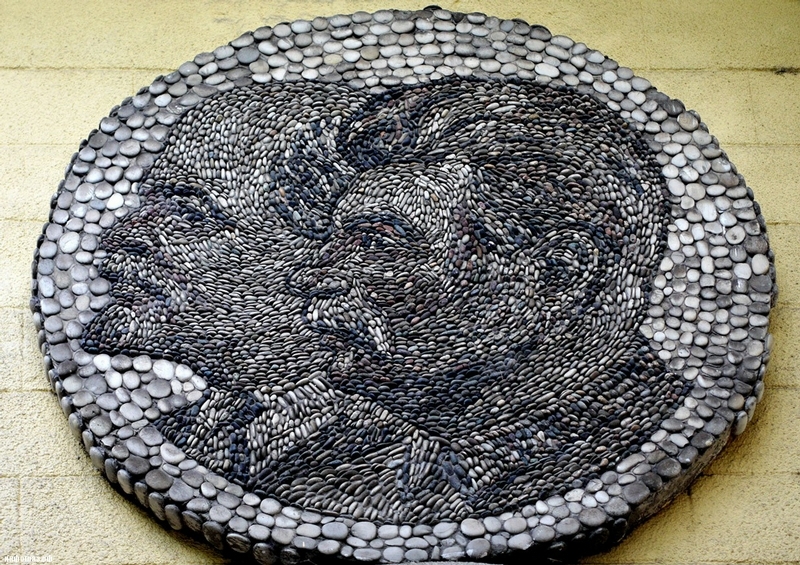 Lenin and Stalin depicted with stones – the mosaic at the air stop. (Amos Chapple | Rex Features). 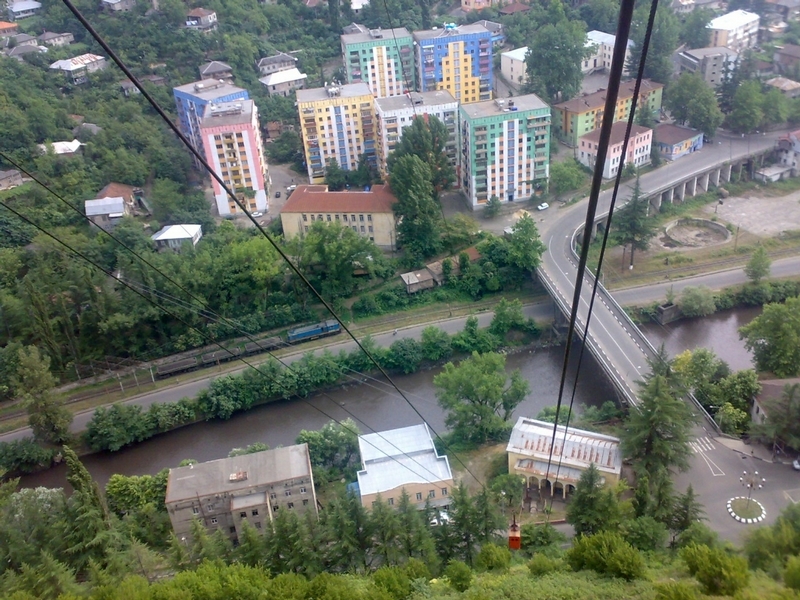 One of the cars over the dirty river Kvirila. 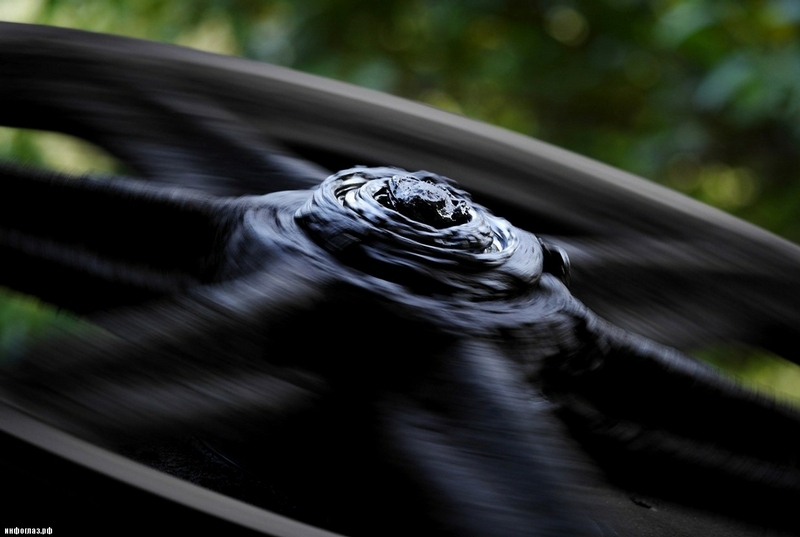 The river becomes almost black when the plants processing manganese work at full capacity. (Amos Chapple | Rex Features). 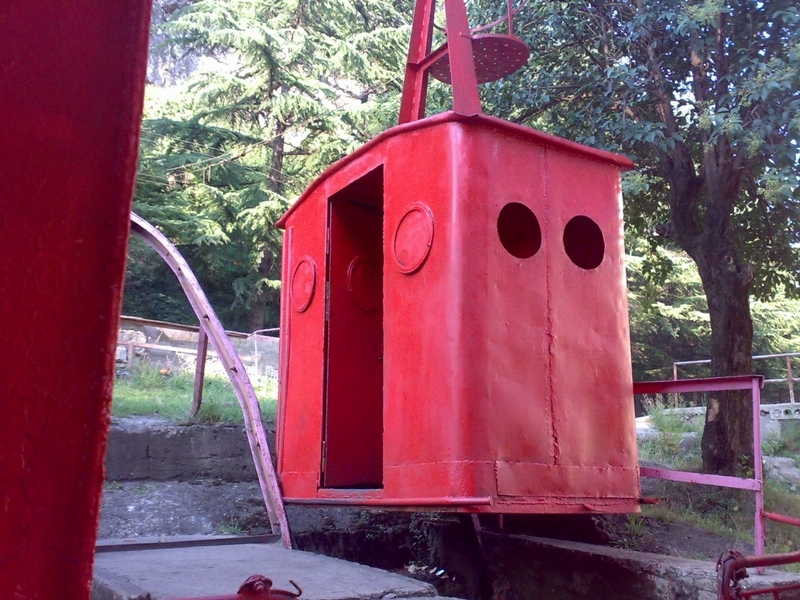 The pulley of the ropeway. When one car goes down it pulls another one up. (Amos Chapple | Rex Features). 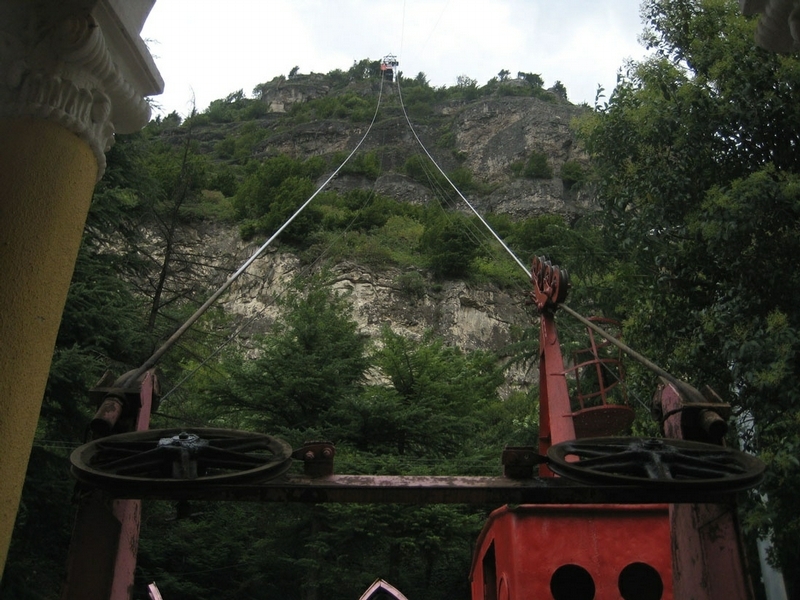 To the left are cars of the ropeway, to the right is a rope. 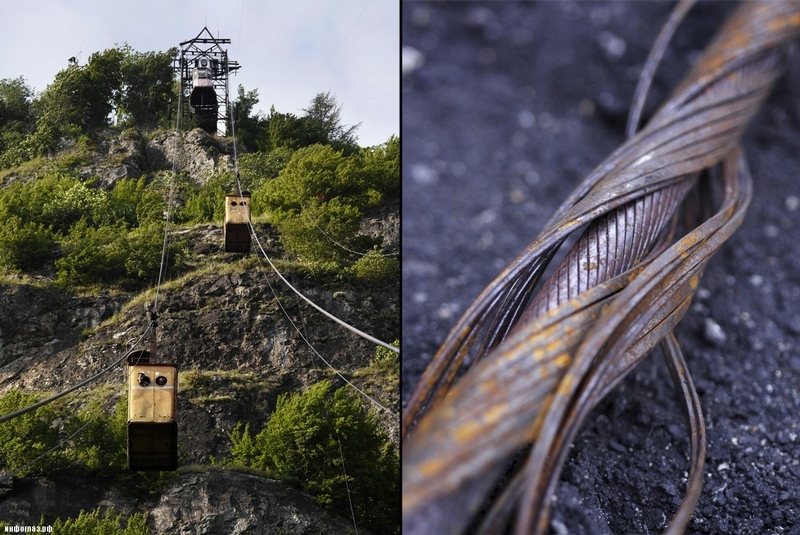 One meter of such cable weighs twelve kilograms. Interesting enough that the cars have no brake system, if something happens a car will just go down on the rope. 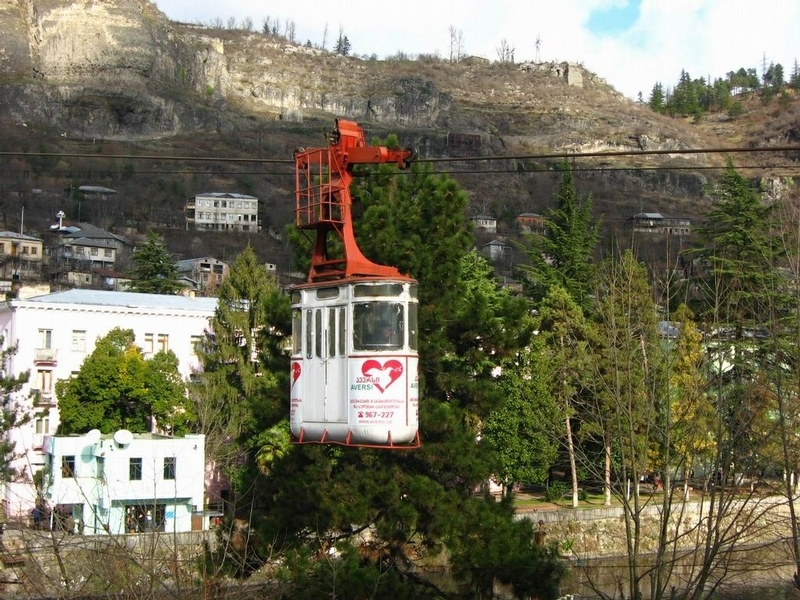 It happened in Tbilisi in 1990: it was the biggest Soviet ropeway catastrophe with twenty people dead, 15 wounded. (Amos Chapple | Rex Features). 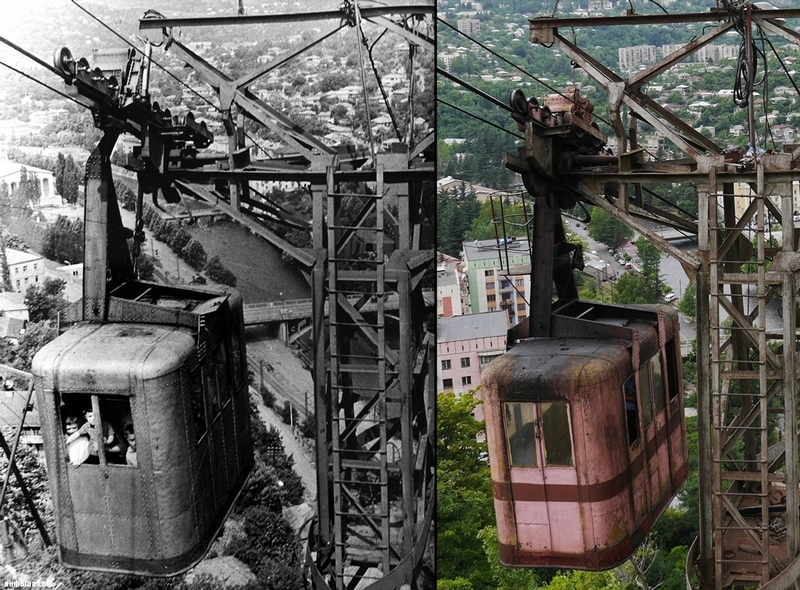 To the left – 1950s, to the right – our days. 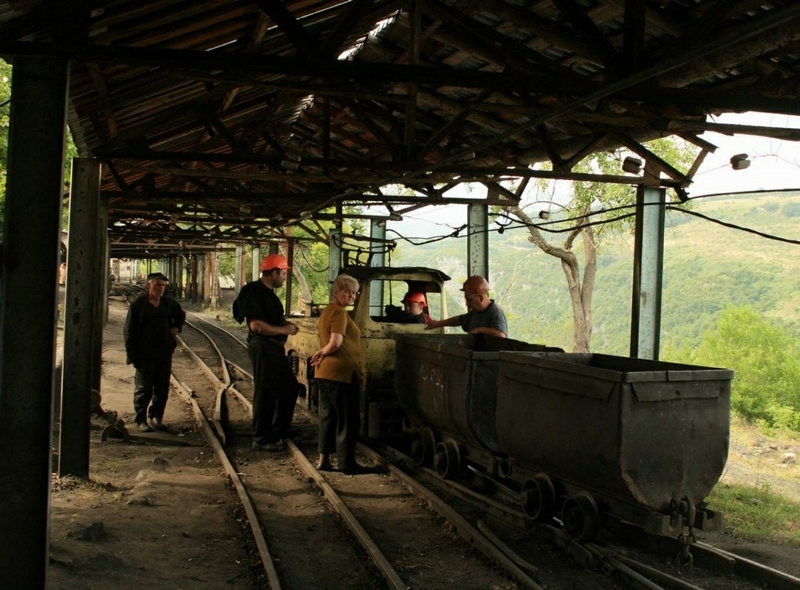 (Photo courtesy Georgian Manganese Holdings). 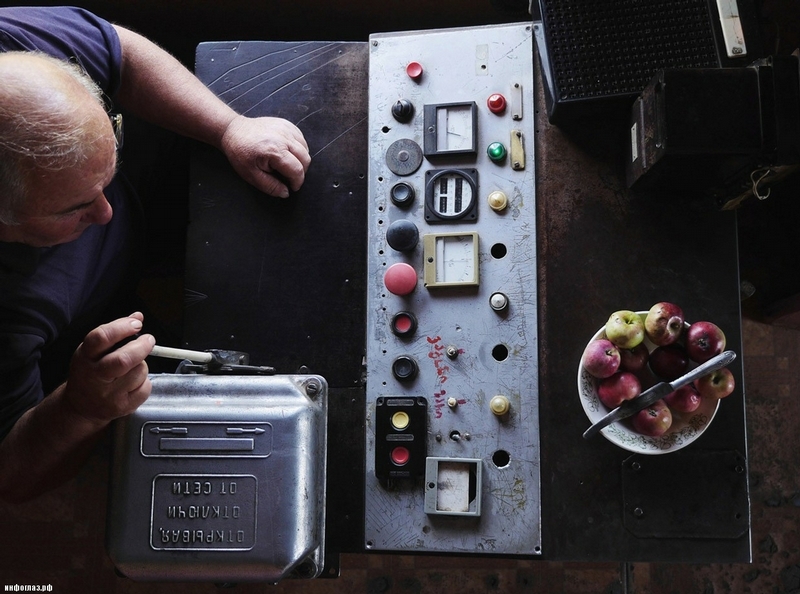 (Amos Chapple | Rex Features). The car leaves to air stop. 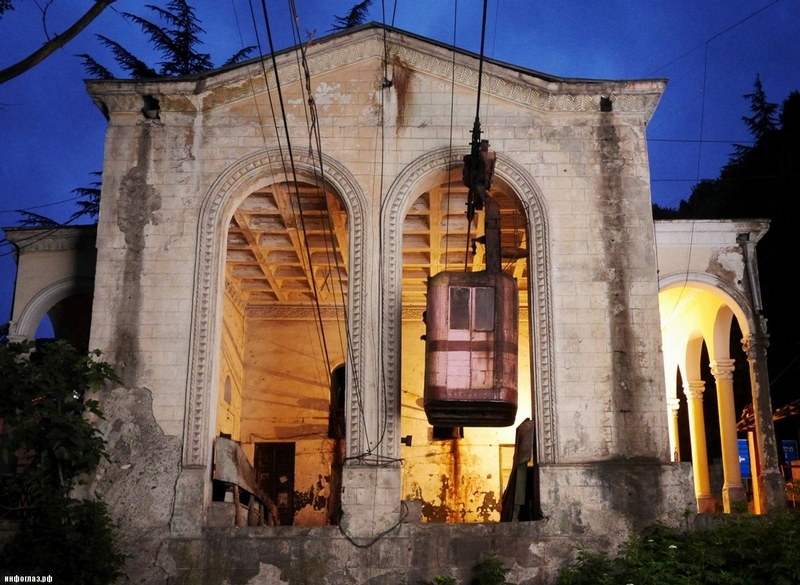 (photo Amos Chapple | Rex Features). 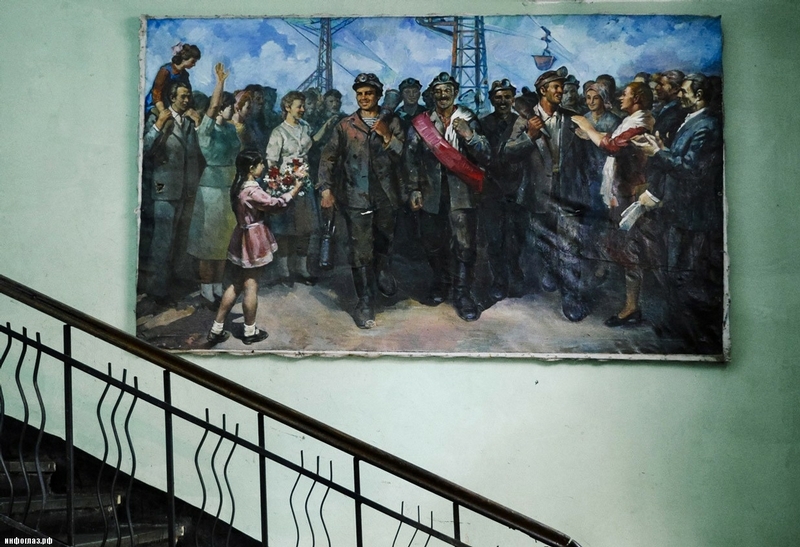 At the station: the picture with the miners of Chiatura of the Soviet times. (Amos Chapple | Rex Features). 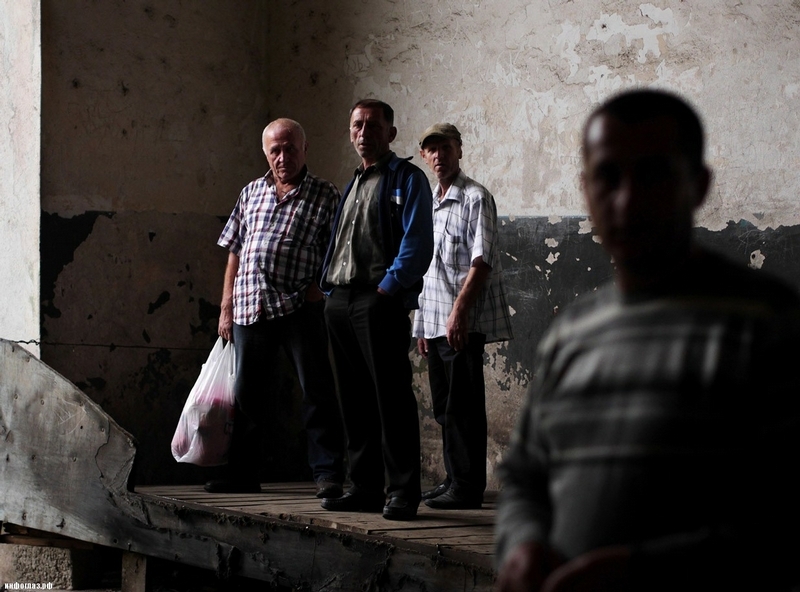 Passengers waiting at the central station. (Amos Chapple | Rex Features). Some details. 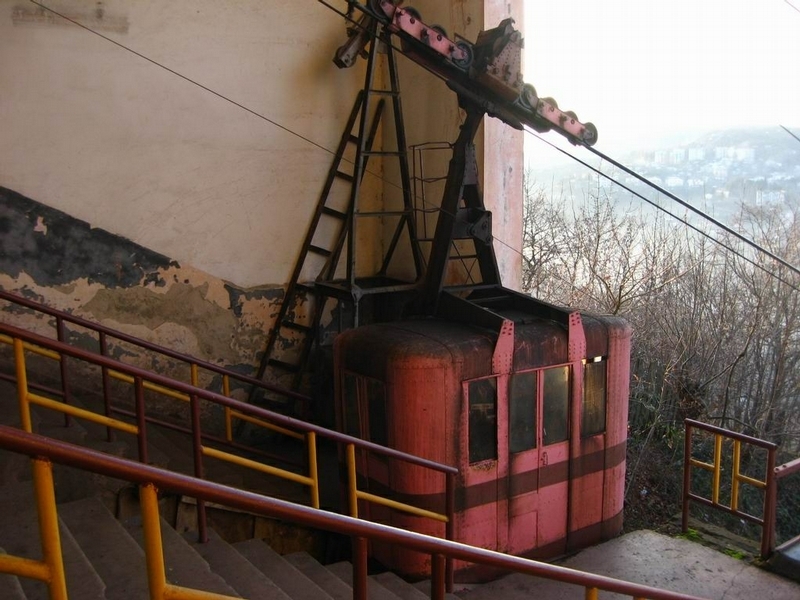 This ropeway officially belongs to the mining company but it is used by everyone in the city. (Amos Chapple | Rex Features). 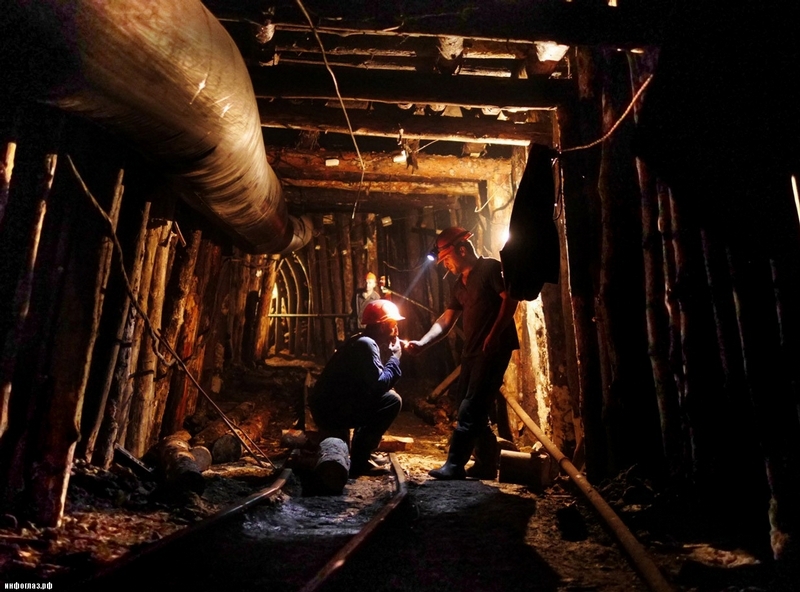 Miners. (Amos Chapple | Rex Features). 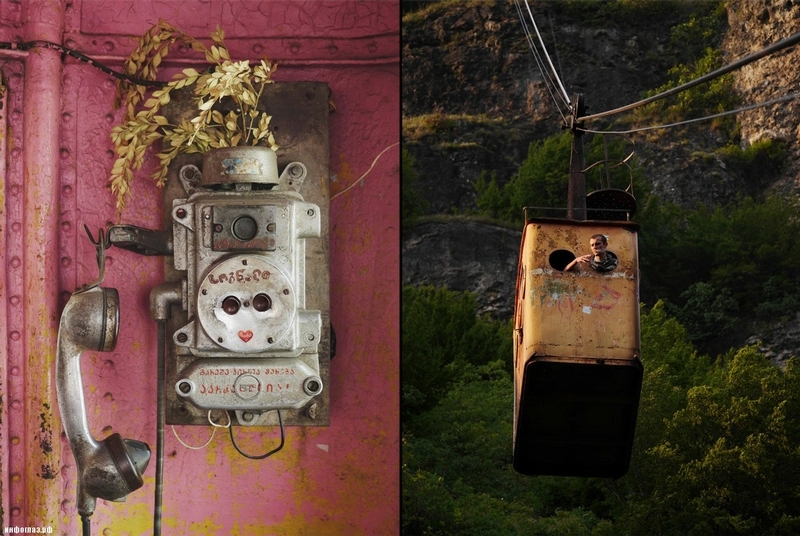 The mines were abandoned after the collapse of the USSR, the work was resumed some years ago. More contemporary cars – the year 1960 and the present time. 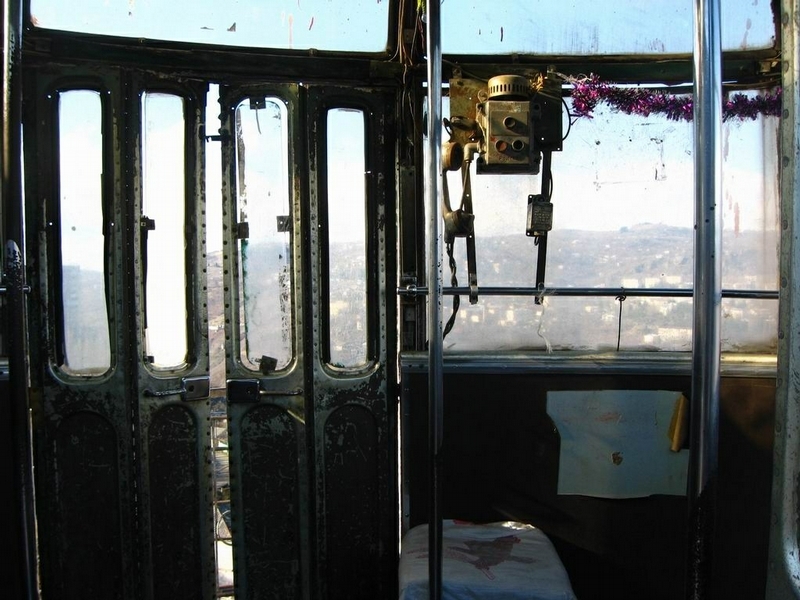 Twelve passengers were hanging in the car over the abyss but the break system activated (these cabins have it). 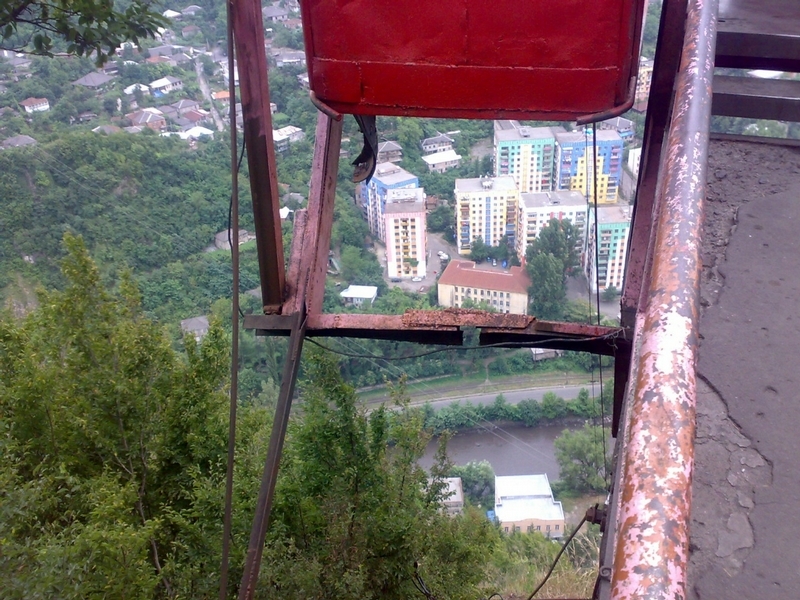 They had no equipment for people rescue on the height so they waited for help from Tbilisi. The people were hanging over the city for twelve hours. Cabin control. (Amos Chapple | Rex Features). 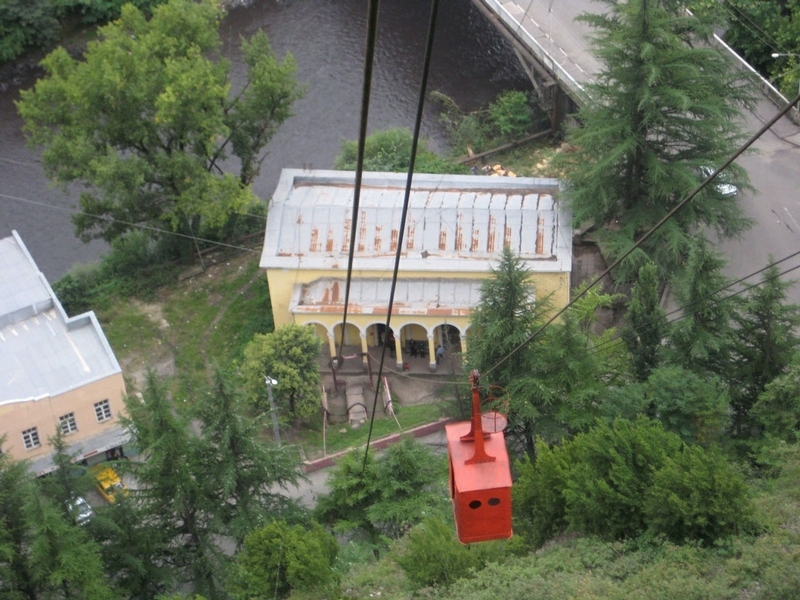 View of the ropeway and factories built in the Soviet times. (Amos Chapple | Rex Features). Another air stop waiting for a car. (Amos Chapple | Rex Features). Like in a movie. In the background is a plant processing manganese standing next to the mine working 24/7. (Amos Chapple | Rex Features). Thinking or praying? 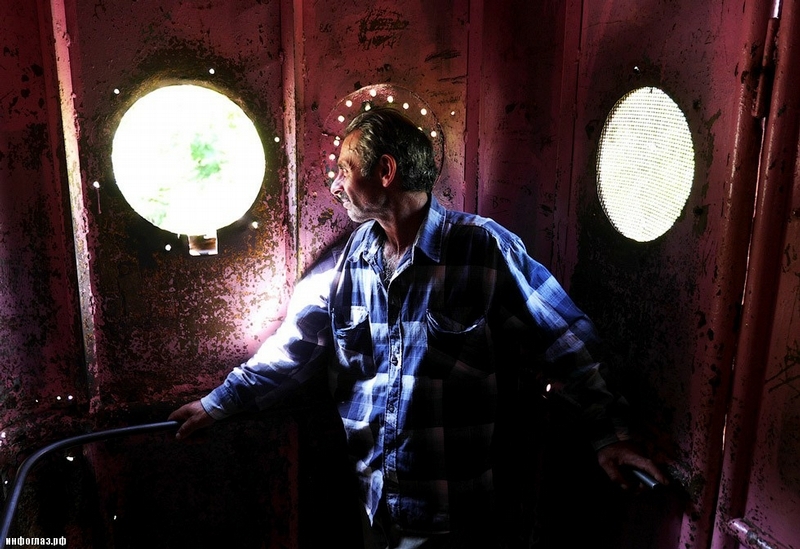 If they have financing these old cabins will be replaced with new ones. 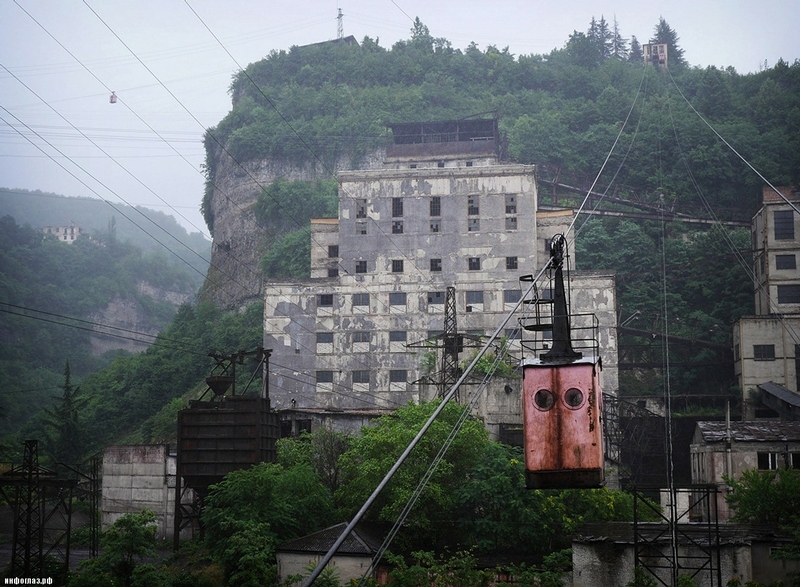 (Amos Chapple | Rex Features). 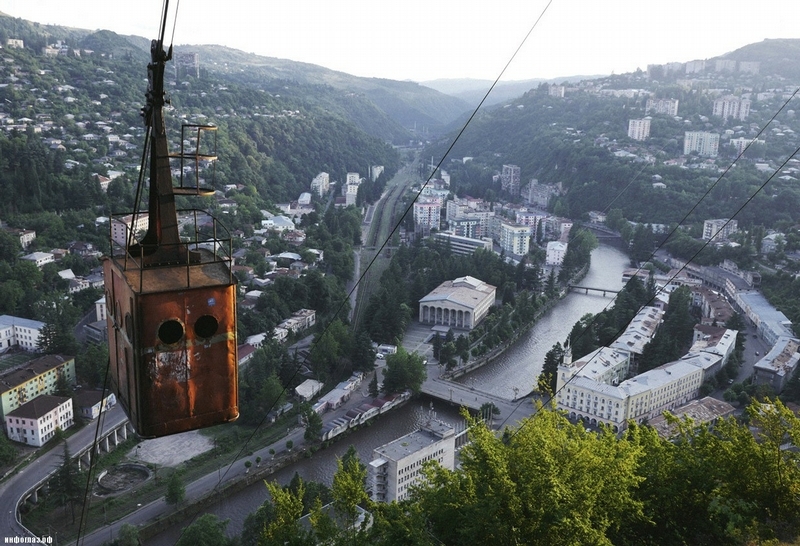 The ropeway looks really scaring. I doubt safety. But it is Georgia and they don’t have the money for proper maintenance.